Police are looking for a man who attacked a woman outside a bank in Dartmouth. 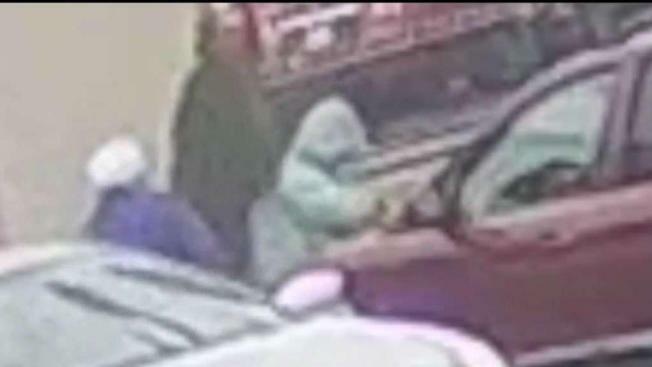 A 76-year-old woman was pushed to the ground during a robbery Monday in Dartmouth, Massachusetts, according to police. At approximately 9:51 a.m. a male suspect pushed the 76-year-old woman to the ground and stole her pocketbook as she exited Citizens Bank, located at 606 Dartmouth St.
"It's absolutely crazy that someone could actually do that to an elderly woman," said bank customer Victoria Bergeron. The suspect fled the scene in a silver Toyota Corolla and is described as 5’10 with a stocky build. Police said he was wearing a stocking cap, dark glasses and a dark jacket. "Whatever he did to that person, someone should do it to him," said Rick Teixeira, who lives across the street from the bank. "Let him get a taste of it." The woman victim received minor injuries and was evaluated at the scene by EMS personnel. The incident currently remains under investigation by Dartmouth Police detectives. "We are aware of the incident that occurred outside of our Dartmouth, MA branch this morning and are cooperating with local law enforcement on their investigation," Citizens Bank said in a statement. "Our thoughts are with the customer, and we are grateful to hear that she was not seriously injured."